and a creative writing assignment. On this page you will find a student project and creative writing assignment to use with your students after you have read them Byrd Baylor's Caldecott Medal winning picture book. The brilliant illustrations and colors of the southwest, the emphasis on different cultures and countries, and the positive message that this book sends to children has made this one of my favorite picture books to read to my students. 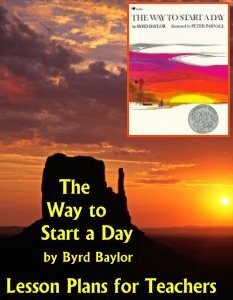 This book shows how different cultures and countries start each new day with a ritual to greet the rising sun with songs, praise, and thanks. "A morning needs to be sung to. A new day needs to be honored." Children will learn the morning customs and rituals of the early cavemen, ancient Egyptians, American Indians, Peruvians, and the people of Egypt, India, Japan, China, and the Congo. The Way to Start a New Day emphasizes welcoming a new day with your own song, gift, or blessing for the world and to celebrate each new day. This book helps students embrace the concept that the people around the world, from different times and various cultures, are more alike than they are different and together everyone can make it a good day for the world. I have read this book to my students at various times of the school year. If I read this book at the beginning of the year, after my students and I have discussed the book, we apply the book's message to the the topic "The Way to Start a New Year of School." I love the brilliant colors and illustrations in The Way to Start a New Day. For me, the colors remind me of autumn, so I have often read this book to my students as the leaves start turning colors and falling from the trees. This book makes students reflect on what they are thankful for, so I have read this book near Thanksgiving. There are illustrations and references to Native Americans in the story, which can tie in with a Thanksgiving theme. 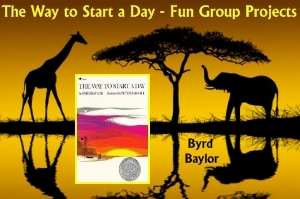 The Way to Start a New Day, written by Byrd Baylor and illustrated by Peter Parnall, is a Caldecott Honor Book, an ALA Notable Children' Book, and on the Horn Book Fanfare List. On this page you will find a set of teaching resources that I have created specifically to go along with this award winning picture book by Byrd Baylor. 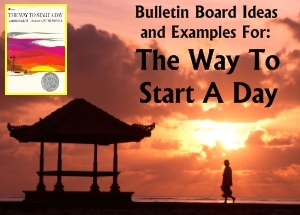 This five page banner is included for free in this set of The Way To Start A Day teaching resources. Click on the Add to Cart button above to purchase this set of teaching resources. 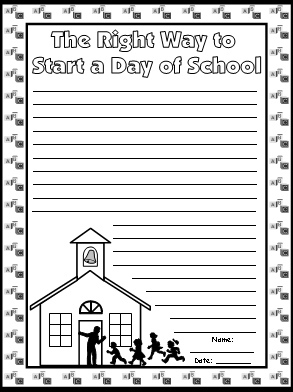 You will be emailed a download link for this First Day Hooray project so you can download and use it today! Secure payment method through Paypal. Use your credit card or Paypal account. Download link is emailed to you today! Print as many copies as you want. Save and reuse this fun project forever! After reading this book with my students, we discuss the 8 countries and cultures that are highlighted in Byrd Baylor's story: Egypt, China, the Congo, Mexico, Peru, Japan, India, and Native Americans. During our discussion about the book and these countries, I slowly move the focus towards talking about holidays celebrated in different countries around the world. For this fun group project, students research an important holiday that is celebrated in another country. Your students will enjoy learning about the holidays and traditions that are important in other countries, writing a description about them, and drawing a picture that best represents that holiday. 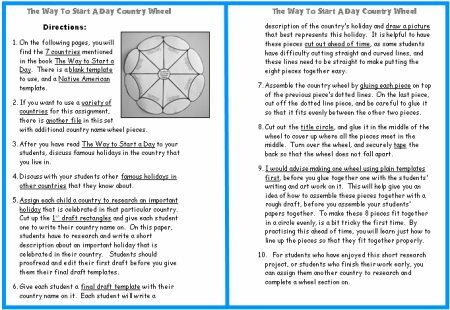 For this country wheel group project, you will need to glue 8 country templates together to form a circle. 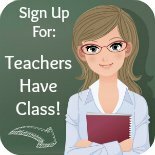 After your students have drawn and colored pictures in the top of the cone templates, and you have assembled these projects together, you will have a unique display of your students' work that captures everyone's attention! 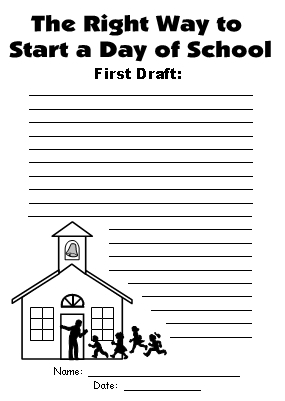 Above: Cut each first draft worksheet into three sections, and give each student one rectangle. The small title circle is glued in the middle of the country wheel project. 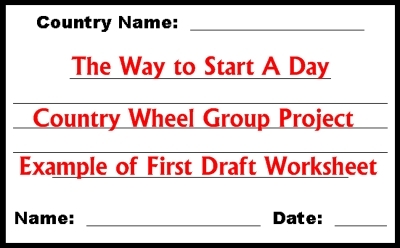 It takes 8 final draft templates to form a country wheel project. I split my class into groups of four students and each student researches two countries. I also have this as an assignment that my students can choose to do if they finish their classwork early, so some of my students research more than 2 countries. This activity also makes a great idea for a homework assignment. Students choose a country, or I assign the countries to my students. Next, my students research their country to find out information about a major holiday that is celebrated in that country. Students write a short description about an important holiday that is celebrated in their country. The line spaces on this first draft worksheet match the line spaces on the final draft country templates. Before I give my students their final draft country templates, they edit and revise their first drafts on their own, with a partner, or with me. On the final draft templates, students write their description on the lines provided. 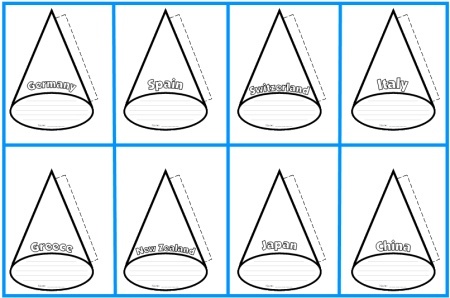 Students draw and color a picture in the the top section of the cone that respresents the country's holiday. I often will send this part of the activity home as a homework assignment because I have found that my students take more time and care in their illustrations when they complete them at home, and I do not use valuable class time in completing a drawing activity. 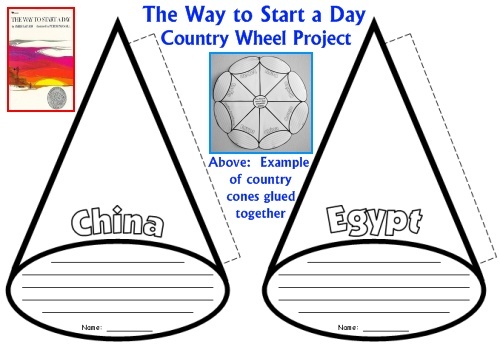 Since it is a bit tricky to glue the 8 templates together so that the lines meet up evenly to form a circle, I suggest that teachers assemble the country holiday wheels together, instead of students. like when they are assembled together to form the country holiday wheel. 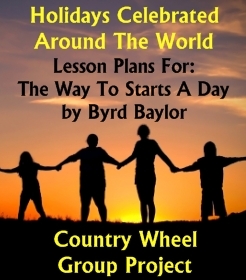 This country holiday wheel measures 16 inches by 16 inches when it is complete. includes 40 different country templates for you to choose from. 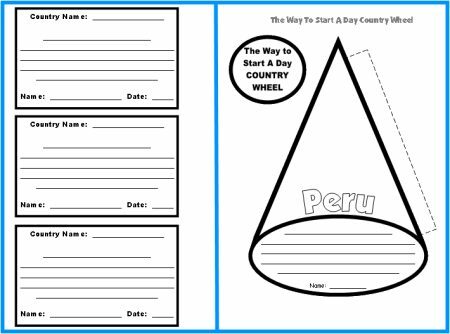 If a student chooses a country that is not included in this set, there is a blank template to use. I know that it takes teachers a lot of valuable time to assemble their classroom bulletin board displays. Many teachers spend hours of time cutting out large display letters or making a banner on their own at home on their computers. This time is valuable and better spent on developing your classroom curriculum and grading papers, so I have designed a matching 5 page banner for your bulletin board display (shown below). 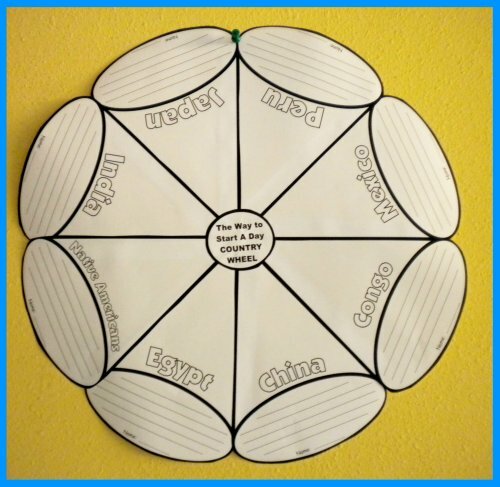 If you have access to a laminating machine, you can laminate this banner so that it is more durable and you can use it year after year for bulletin board displays of these The Way to Start a Day country wheel group projects. 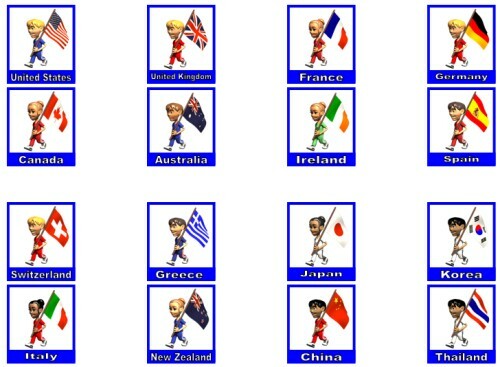 This country wheel group project includes 40 different international children carrying their country flags. 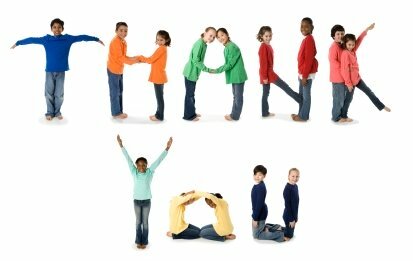 These children can be used as accent pieces on your bulletin board display. I hope that these flag accent pieces help save you time in preparing and decorating your bulletin board display. 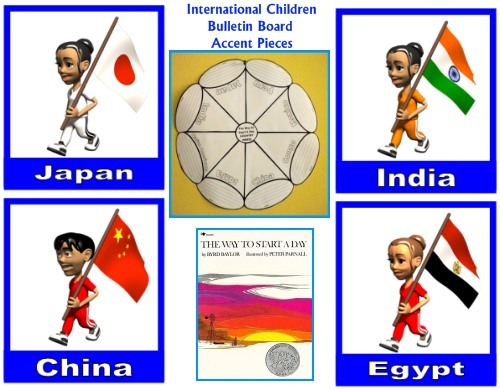 Besides using these international children accent pieces for your Way To Start A Day bulletin board display, I am sure that there are other areas in your curriculum that you may need displays of country flags. 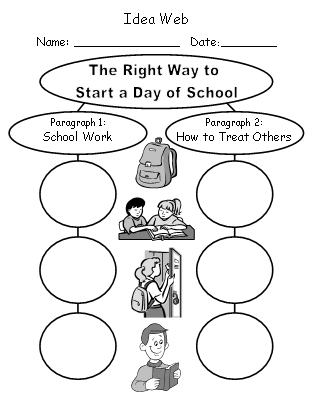 For the second group of lesson plans, I have designed a set of creative writing worksheets for the topic: The Right Way to Start a Day of School. This is a two paragraph essay in which students write about how to be prepared for school, use their best effort, and how to treat others with kindness and generosity. This creative writing assignment is a two paragraph essay about school work and how to treat others. Before my students begin writing their essays, they use an idea web to brainstorm and preplan their ideas for this assignment. Below is an example of the idea web worksheet that is included in this set of creative writing teaching resources. For creative writing assignments, I believe that it is important for students to go through the writing process. For this reason, my students never begin their creative writing assignments by writing on their final draft worksheets, instead they write on first draft worksheets. Then, they edit and revise their work on their own, with a partner, or in writing conferences with me. 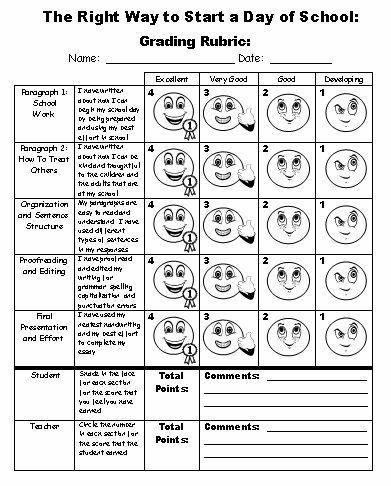 Below is an example of the first draft writing worksheet that is included in this set of teaching resources. The writing lines and spaces on the first draft worksheet match the lines and spaces on the final draft worksheets. you should give them their final draft worksheets. sections for both a student self-assessment and a teacher assessment. designed for these popular novels and picture books. Click on the book covers to see the fun, unique, and extra large projects that are available for each book. 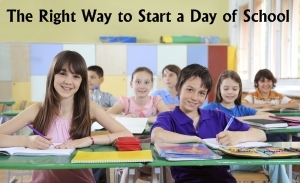 Thank you for visiting my The Way To Start A Day lesson plans page. 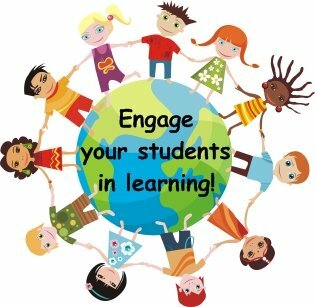 that will engage your students in learning and save you valuable time. click the "Like" button below. below to view each project.